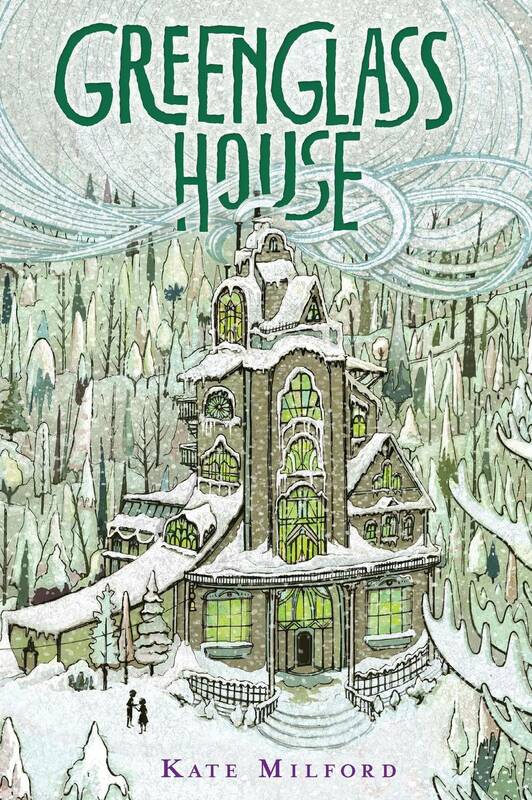 Just last week, I finished reading Greenglass House, a book for 10-12 year-olds, written by Kate Milford. Twelve-year-old, adopted Milo Pine lives with his parents, Nora and Ben. They run the Greenglass House, which is a hotel. Not just any old hotel, though; it’s a smuggler’s hotel, perched on the side of the hill overlooking the harbor. Aside from the typical client, they usually cater to the smugglers—seasonal regulars—who come based on the time of year. But when the bell rings during a howling blizzard on the first evening of winter vacation, Milo knows it’s not one of the smugglers—wrong time of the year. And he doesn’t want to share his winter vacation with anyone but his family. Unfortunately, by the time the evening is over, five new guests have checked in. His parents call Mrs. Caraway & Lizzie, the chef and her older daughter, to help out with all the new guests. When Milo goes outside to retrieve a book he dropped, he finds it and a mysterious map with strange markings. Mrs. Caraway, Lizzie, and the cook’s youngest daughter, Meddy, arrive. Meddy is inquisitive, pushy, and when she sees the map, determined to solve the mystery of it and the unexplained surge of guests. What better way than to have a campaign? She explains a campaign is an adventure within a game world, a lot like an RPG (Role-Playing Game). Before long, Milo’s adopted the persona of Negret, and Meddy is Sirian. The game, Odd Trails, has begun. Milo is outraged when the map is stolen from his room. Before the children can attempt to find it, the other guests reports thefts, as well. Milo and Meddy (or rather Negret and Sirian) plunge in to uncover the clues and find the missing items. With a thief in their midst, the children are cautious, but learn the guests have some secrets of their own intertwined with the house and the map. The author did an excellent job of ramping up the tension at the halfway point. The story had just begun to drag when the children were put into a dangerous situation, and it kept me reading. The unique Greenglass House sounds like a place I’d like to explore. The sprawling grounds, the attic stuffed with treasures, the beautiful windows made of stained glass—it sounds like a great place to play an RPG. I was a bit saddened to find the game Odd Trails was completely made up by the author. Although I couldn’t identify with Milo (12-years-old? Male? Adopted? Nope, nope, and nope), I found Meddy’s determination interesting and relatable. She has a secret of her own the reader doesn’t discover until the end of the book. Upon checking the internet, I learned Kate Milford wrote a sequel, The Ghosts of Greenglass House. It goes on sale in October. Here’s the link to read an excerpt of the upcoming release. Enjoy! Also, to read a different review of this book, check out Laura's review (from November). It is a great book! Very nicely said, Jill. I did not know there will be a sequel! Thanks -- the sequel looks good, too!